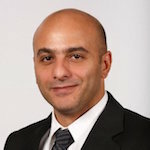 Johnny holds an MBA from Cambridge University and degrees in computer and telecom engineering from Stanford University and the American University of Beirut. He has held technical, management and consulting roles in both large and small firms in the US and Canada and is the author of aÂ book on business and management. He has been granted five US patents, has published in technical journals and news portals, and is a certified Project Management Professional.